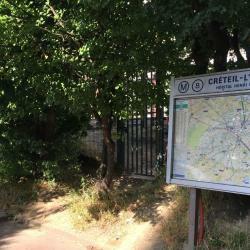 Looking for hotels near Maisons-Alfort-Les Julliottes Metro Station? This residence is in the outskirts of Paris, just 320 yards from the Maisons-Alfort – Les Juillottes Metro Station. It offers spacious studios and apartments with kitchenettes. Located less than 656 feet from Saint-Rémi Church and from the city hall, Hotel des Bains offers heated rooms with a private bathroom and a flat-screen TV. Hôtel Moderne is located in Maisons-Alfort, just 1640 feet from Maison-Alfort RER D Train Station. Free Wi-Fi access is available throughout. Only a 17-minute drive from Paris, this hotel features a business center with equipped meeting rooms, a terrace and free Wi-Fi. Outstanding shower, with rain shower head and wand! 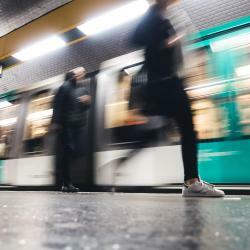 Hotels with great access to Maisons-Alfort-Les Julliottes Metro Station! Offering a restaurant and a bar, Novotel Paris Sud Porte de Charenton is located on the edge of Bois de Vincennes. Great location right outside of Paris. Had the metro stop right next door. 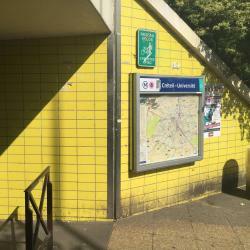 The ibis Daumesnil Porte Doree is located just outside the Bois de Vincennes forest and 1476 feet from Porte de Charenton metro and tram stations. It offers a 24-hour reception and free Wi-Fi access. The Staff were very friendly and helpful. Just a 5-minute walk from Picpus Metro Station, this hotel features free Wi-Fi access. A quiet, small hotel with friendly and helpful staff. Located in Saint-Mandé, Hotel Le Ruisseau is a 5-minute walk from Saint-Mandé Metro station and the Bois de Vincennes. It offers accommodations with free Wi-Fi access and a flat-screen TV. Restaurant holds very high standards in insuring it was French cuisine.